Awesome deer son! I am proud of you! It’s so fun to share this sport with you. 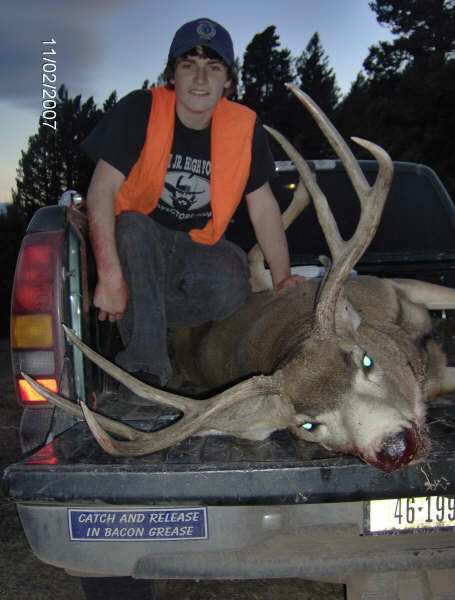 This muley was harvested in Granite County in Montana by Tyler, age 14. It is a 28-in 3×3. Great job MOM, not every day you see Mothers share the same love. Thanks to the both of you. Hey Tyler, good luck killing a bigger one than that. Pretty awesome. Go Cowboys!!!!!!!! !